When designing the website for the Telling Room, a nonprofit writing center, we looked for ways to translate their students' sense of wonder and excitement into an immersive online world. The site needed to be unique and memorable for students, where every click of the mouse uncovered something new, fun, and interactive. 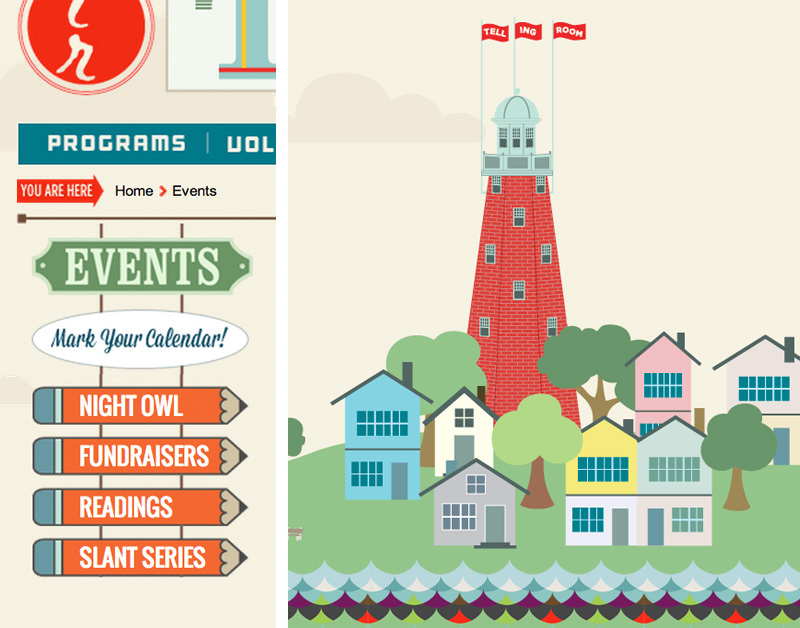 Whimsical Portland cityscapes, vintage inspired signage, flying planes, graphic roll-overs, and a bold color palette all bring this world to life—fun and vibrant, just like the stories that Telling Room students share with each other everyday.